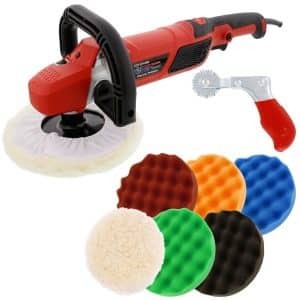 If you have been using your car for a while, you may start noticing that the paint is peeling off or you simply are in love with another color, car paint removal is not a complex exercise once you have the right tools. You have to remember that your car represents you and any smudges or uneven paint makes the car look bad. It is not a good idea to apply paint on the existing coat; instead, start by removing the old paint before applying a new one. 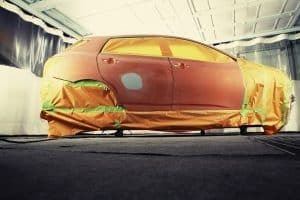 In this article, we shall explore some simple do-it-yourself techniques for car paint removal. Before we start, ensure that you have your gloves and dust mask/respirator on – paint has chemical compounds that can harm your body. During this procedure, you will need a dual-action sanding machine, dust mask, and a 220-grit sanding disc. Begin by attaching the peeled off sanding disc to the dual-action sanding machine. In circular motion start removing the paint from one part of the car to another. To ensure a smooth surface turn the sanding disk to a grit of 400. This car paint removal technique is less tasking but requires you to have a respirator and hand gloves on when applying the chemical stripper. The first step is to remove anything on the exterior of your car that you do not want to be exposed to the stripper. You can also cover them with an easily removable paper. This will include your glass windows, mudguards, rubber trims, and other exterior accessories. The manufacturer’s label often has instructions on how to long the paint should remain on the car before removal. For applying the stripper, pour contents into a container and use a brush to apply on the car surface where the old paint is. You will know that it is time to remove the stripper when it can easily be scrapped – if not wait a bit longer. Lastly, use a putty knife to scrape the stripper. Wash the car, and you can use the sander to make the surface smoother. If need be, you can reapply the stripper if the first attempt did not remove all the paint. While the chemical stripping technique is time-consuming, it works great for large surface areas. Ensure you purchase enough amounts of the chemical to be applied before work starts. For this exercise have an overall on, respirator and a hood to protect you from the blasting materials. Cover all areas of your car that you do want to come into contact with particles from the blasting – this will include the chrome, exposed glass, and car trim. Blasting car paint removal technique can use plastic, baking soda or sand. Put the ingredients to your compressor/blasting machine. Once you have set the required pressure, you can blast the paint off your car. Sandblasting requires few tools, and this is why it is recommended for large surface areas. The size range for sand/plastic should be 40 or 12. Find a compatible blasting nozzle before work begins – note this will be dependent on the compressor horsepower. 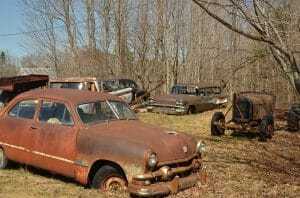 If you have a car that has not been unused for a long time while being left outside, it could have developed rust. Rust makes it hard to apply paint on the car. You will need first to use a 24-grit grinding sander to remove the rust. This should remove the first layer of rust. Use the 40 grit or 180 grit for a smooth finish. You then wash the car and then apply the paint. A dual action sander does not move in a circular motion like the orbit sander but moves side by side. It is great for removing rust spots that have not penetrated the car metal body. Begin with 60 to 80 grit and then use the 120 to 180 grit to smoothen the surface. There are those paint spots that are hidden from other methods of paint removal. These areas can include the side doors, under the bumper or boot surfaces. You will need to purchase chemical paint from your local auto parts store to remove paint in these hidden areas. The procedure for applying the paint is pretty simple. Apply the paint remover on a specific spot and cover it with the painter’s tape. Wait for around 20 minutes for chemical reactions. Use a putty knife to peel off the chemical compound. Finally, use a sponge with some soapy water to clean the surface. You can sand the spot before applying a fresh coat of paint. Accidents are inevitable when you are driving your car through cities. There are those moments when someone scratches your car leaving their car color on yours. To remove these scratches, you will need some high-quality car polish. The polish removes the top layer of paint that belongs to another car leaving your car paint intact. Use some car wax to smoothen the spots and give them some shine. This only works for small scratches. If the dent is big, you will need to first realign the dented metal before applying paint. If you are going to polish your car, it’s recommended to use a good polish machine. One that we like a lot and are absolutely worth the money is this one from Amazon. Your car needs a fresh coat of paint occasionally. But, before you can apply a fresh coat of paint, you need to first remove the old paint. Applying car paint can be done at the comfort of your home, and you do not necessarily need to call an expert. To begin to ensure that you have a pair of gloves, protective clothing, and respirator/dust mask. If you are thinking of painting a large surface area, you can use a power sander to remove old paint. You will need to remove/cover the areas that you do not want to come into contact with paint like bumper, fenders, and windows. A 220 grit sanding disk is used for this. Chemical paint removers are another easy way to remove paint from your car while at home. Once you have poured the contents on a container start applying the chemical on the car surface. After around 20 minutes (depends on manufactures instructions) you can use a putty knife to remove paint. Use a sander to smoothen the surface.